James Rivington (1724-1802), was born the son of Charles Rivington (1688-1742) and Eleanor Pease (d. 1753), at Chesterfield, Derbyshire, England. He was a member of a family of booksellers at St. Paul’s Church-Yard, London, which did business there for over a century. From the mid 1750’s he was a notorious bookseller known for undercutting his competitors by purchasing bootleg copies from country printers of popular titles. In order to steal away other English bookseller’s customers he advertised in America to sell at a 16 percent discount and a year’s credit. His large volume shop acted as a clearinghouse moving more stock than all of his competitors combined. After going bankrupt from gambling losses at the Newmarket races in 1758, he immigrated to New York in 1759, and opened a bookshop at Hanover Square with Samuel Brown, corner of Market and Front Streets, trading as Rivington & Brown. This is the same place that two years previous the earliest documented American coin auction had taken place by William Proctor (q.v.). The following year, 1760, he moved to Philadelphia to set up shop leaving the New York shop in the hands of his partner Brown. 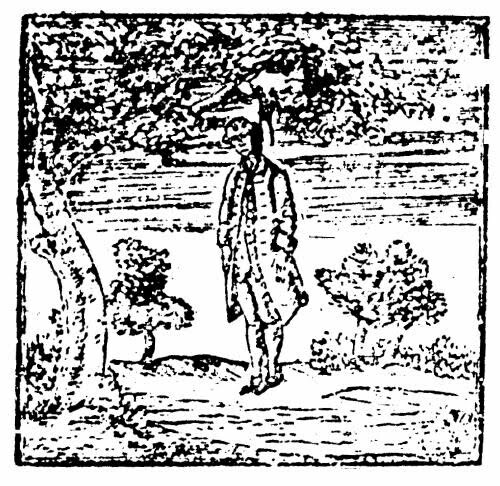 He returned to New York in 1762 and sold many articles besides books including art, curiosities and medals of King George and Queen Charlotte as advertised in the Pennsylvania Gazette, Thursday, April 22, 1762, page 4. Consequently, Rivington together with Peter McTaggart (q.v. ), John Green and Joseph Russell trading as Green & Russell (q.v. ), and Edmond Milne (q.v.) are among the earliest known coin dealers in America. Nevertheless, he opened a third bookstore at Boston with a new partner. After twelve years at New York he entered the newspaper industry and began to publish on April 22, 1773, The New York Gazetteer or the Connecticut, New Jersey, Hudson's River, and Quebec Weekly Advertiser (1773-1775). Though he averred to be a free “open and uninfluenced press” by November 1774 he was labeled as being a Loyalist. At that time he boasted of a circulation of 3,600 throughout the colonies. No patriot knew that in 1775 he was one of the very first agents in the secret service to the newly appointed General George Washington. Rivington suffered severe public, social and financial losses to keep up the appearance of being a Loyalist in order to be a convincing spy for the Revolutionary War's Continental Army. He was believed to be a Tory sympathizer throughout the Revolutionary War, which lead New Jersey patriots at New Brunswick to hang him in effigy. Rivington had a woodcut engraved depicting that event and printed it in his paper with condemnatory words to suit. Fig. 2. Engraving published by Rivington of his hung effigy. “In consequence of his repeated attacks upon the Sons of Liberty, and especially Captain Isaac Sears, that officer came to New York from Connecticut with seventy-five horsemen, and, entering Rivington's office, destroyed his press and converted the types into bullets. Rivington's conduct was examined by the Provincial Congress, which referred the case to the Continental Congress, and while the latter was considering it the publisher wrote a remonstrance declaring, "that however wrong and mistaken he may have been in his opinions, he has always meant honestly and openly to do his duty as a servant of the public." He then made his peace with the Whigs, and was permitted to return to his house, but having incurred suspicion he afterward went to England, where he was appointed king's printer for New York. In 1777, after the British occupation of that city, he returned with a new press, and resumed the publication of his paper under the title ofRivington's New York Loyal Gazette, which he changed on 13 December, 1777, to The Royal Gazette. On the day when Major John André was taken prisoner his "Cow Chase" was published by Rivington. About 1781, when the success of the British was becoming doubtful, Rivington played the part of a spy, furnishing Washington with important information. His communications were written on thin paper, bound in the covers of books, and conveyed to the American camp by agents that were ignorant of their service. When New York was evacuated, Rivington remained in the city, much to the general surprise, removed the royal arms from his paper, and changed its title to Rivington's New York Gazette and Universal Advertiser. But his business rapidly declined, his paper ceased to exist in 1783, and he passed the remainder of his life in comparative poverty.” And so it was believed by the biographer of Appleton's Cyclopedia. However, Rivington was merely changing professions from a newspaper publisher back to being a bookseller, who, also sold coins like he did twenty years earlier; the basis of the model in the line of selling curiosities, art and coins in what has come to be known in the United States as the classic Ye Olde Curiosity Shoppe, which has enjoyed great popularity in America through these last two centuries. Fig. 3. His advertisement published in the late fall of 1782 reads : “To the Curious, For Sale, A Number of Foreign Coins, Gold, Silver, and Copper, many of them Ancient. – Enquire of the Printer.” Royal Gazette, Saturday, November 2, 1782, page 3, column 3. It was during the end of The Royal Gazette newspaper (1777-1783) that he published his own advertisement for the sale of these coins. The anti-royalists called his paper the “Lying Gazette.” Rivington’s newspaper had suffered from his believed to be political affiliations and so he turned to coin dealing by the late fall of 1782. He ceased publishing about a year later on December 31, 1783. His first marriage in 1752 to Elizabeth Mynshull (1752-1769), bore him three sons : James Rivington, Jr. (1769-1809), Henry Rivington (1770-? ), and John Rivington (1772-1795), who became Maj. John Rivington. A decade after the death of his first wife he remarried on March 9, 1779, to Elizabeth Van Horne (Van Hooren) (d.1795), who bore him two sons and two daughters. This is attested to by the 1790 U. S. Census, which reported that he lived in the East Ward, New York City, New York, and had three sons at least sixteen years of age and two under, a wife and two daughters and eight slaves. He, like Thomas Jefferson died on the 4th of July, except in the year 1802 at New York City, New York. Appleton’s Cyclopedia. The "Cow Chase" was a poem published by Rivington in his Gazette, written by the British Army Officer, Major John André (1750-1780), he was hanged as a spy for aiding Benedict Arnold to surrender West Point to the British. The poem is a parody wherein André describes General "Mad" Anthony Wayne as if he were a cattle drover on a foraging expedition. Hence the rub, i.e., depicting Wayne and his men as unconventional, unregimented, undisciplined and fighting dirty.